About 300 million users chose Google Chrome for its simplicity, convenience, speed and stability. This has fired Google Chrome to the top among other browsers, with over 45% market share. Another advantage of Google Chrome is that there are a large number of applications that expand the features of the browser significantly. Google Chrome has an arsenal of applications for images that are useful for photographers. 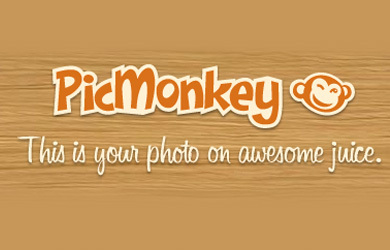 The PicMonkey app is used to instantly create screenshots and edit web page images. This application is used to grab all the images from any web page. The application also facilitates one-click full-page screenshots. After grabbing images, all of them will appear as tiny thumbnails in the sidebar from where you can now edit them. With PicMonkey, you can retouch and edit images directly in the browser window. The app allows you to flip, crop or resize an image, as well as add some effects, such as frames, textures, overlays, fonts, etc. The extension allows you to know the image parameters – height, width, and file size. Just a single right-mouse click and all information about the file will appear in the context menu of the browser. 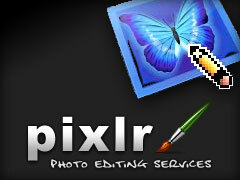 Pixlr offers three photo editing applications, which vary by level of complexity and features. So, the Pixlr-o-matic editor is the easiest of Pixlr apps. Its features are often compared to those of Instagram: it can be used to quickly create a stylish image (by applying one out of many filters or vintage effects on the image), add frames, and other actions. Pixlr Express is the next in terms of level of complexity in a trio of Pixlr editors. With it, you can quickly adjust the contrast and white balance, add blur, fix red eye, whiten the teeth, and apply other interesting effects and filters. Pixlr Editor is the most “advanced” in the Pixlr palette. Of course, Pixlr Editor can’t replace Photoshop, but this app can be regarded as a full-featured editor that offers many features for editing images right on the browser window. Among the tools available in Pixlr Editor are red eye reduction, drawing and cloning tools, sharpening, blurring, and many others. Pixlr Editor filters include such features as Gaussian Blur, Glow, fake HDR, vignettes and more. Among the correction tools are levels and curves, discoloration, brightness/contrast, hue and saturation. The application can handle PSD files. The Hover Zoom extension makes it easy to view photo galleries. You need to simply mouse over the preview of the image to view its full version without loading a new page. The application works on sites with direct links to the image file, including with such popular services like Facebook, Flickr, Google (Google Images, Google+), Picasa Web Albums, Pinterest, Twitter, VKontakte, Wikipedia, YouTube and many others. The app supports video files (WebM, MP4). You can disable or enable image enlarging only for certain sites, or enable enlarging only when you press a certain key. The TinEye extension allows you to search for images on the Internet, using pattern recognition, rather than keywords, metadata or watermarks. 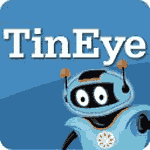 With TinEye, you can get links to pages that use a specific image. Here, the application can find a match even if the image was edited or cropped. TinEye lets you know on which site the image was first published or where and how your own pictures are being used. Besides, you can use it to find a version of the image with large resolution. The application allows you to – by one-click – open the Exif data of any photo on the internet. For example, Exif data contain information about the camera that was used to capture an image, about the capturing conditions, about the editing tools that where applied on the images, and other useful details. Polarr Photo Editor is one of the most powerful Google Chrome extensions for handling images. Polarr can be used to control color temperature, exposure, brightness and contrast, light and shadow correction, working with curves, local correction, distortion, adding of watermarks and much more. With the app, you can handle large files (up to 30 MP) and upload a lot of photos in a single session. A special advantage of this application is that it supports RAW images. The Instagram extension for Chrome users enables you to view and comment on popular photos and galleries posted by friends, as well as upload your own photos directly from your browser window. The Picasa extension for Chrome is perfectly integrated into the browser and allows you to access your Picasa albums directly from its window. Each user gets 1 GB space to upload images, which means you can upload about some thousand images.